Interested in booking Re for a Private Party or Special Occasion? 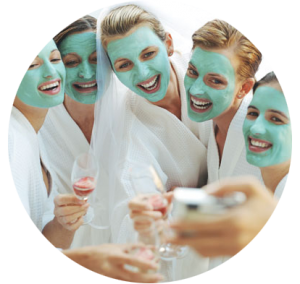 At Re Salon and Medspa we welcome the opportunity to share a special occasion with you and your friends. Whether it’s bridal, bachelorette, prom, birthday, or just for fun! Our planners can assist you with the best services for the size and needs of your group. We offer a quiet and tranquil escape to everyday stress and we can cater to your specific needs. Food and Beverage can be provided for parties for an additional fee from our local catering partners. If your party has any special requests, we can surely accommodate you while additional fees may apply. Please contact one of our party planners at 704.334.8087 or concierge@resalonandmedspa.com for more information.